My name is Collin Jarvis, and in the summer of 2013 my life was changed forever when I was diagnosed with Ulcerative Colitis. At the time, I was attending UC Berkeley and was one of the top collegiate distance runners in the country. Within months of the diagnosis, the invisible illness that was tearing apart my large intestine had sidelined me from the sport I loved and alienated me from my old life. After exhausting every option, including courses of chemotherapy (methotrexate), I was left with no choice but to have my large intestine removed. The surgery was performed in March of 2014, resulting in an Ostomy bag. More than one million people in the United States have ostomy bags as a result of intestinal surgery with nearly 150,000 new surgeries performed each year; most commonly attributed to Crohns, Colitis, and Cancer. The procedure is often life-saving and can give a patient a chance to live a normal life again, but the Ostomy Bag itself is stigmatized, often most critically by the Ostomates themselves. There is a high incidence of depression, ptsd, anxiety, and low self-esteem among patients who receive Ostomies, and it is my mission to show the world that this does not need to be the case! Since my surgery in 2014, I’ve challenged myself to get get back to running and explore the world with the newly regained health that my Ostomy had provided me. In December of 2014, I travelled to New Zealand and backpacked across the country. I re-enrolled at Berkeley to finish my last semester, and was able to run for the universities track and field team one last season (link to an interview after my first race back after 2 years here: http://www.flotrack.org/article/30227-no-colon-but-cal-s-collin-jarvis-is-still-rollin). Since then, I have continued my training to prove that Ostomy surgeries aren't just a means to survive, but an opportunity to thrive again! In order to help spread awareness to those who are struggling to adjust to their new life with Ostomies, to those who will need the surgery in the future, and to those who have never even heard of an Ostomy, I am raising money to hire a videographer to document my journey towards training for the Olympic Trials. I'm not promoting the idea that everyone with an Ostomy should go out and run 80+ miles a week and train like an Olympian, I'm simply showing that it's still possible to go anywhere and do anything with the right mindset! I believe that by sharing my story, I can help motivate and inspire countless people around the world to chase their passions, despite the challenges that having this surgery might entail! I appreciate any contribution as a sign of your support for my journey to help de-stigmatize Ostomys, and inspire those who have them to live life to the fullest! To learn more about me and my mission, you can visit my website at UCJarvisRun.com! This is will be the last time I post anything from this GoFundMe page, and really I just want to say thank you! It's a difficult thing to ask for money from friends, family, and strangers, but this is a project that really means a lot to me and that I've wanted to put together since returning to running. Thanks to all of YOU it's finally going to happen! After today, I will end this fundraiser and lock down the right videographer to help tell my story as I work towards qualifying for the Olympic Trials and share with the ostomy community the things that I've found most helpful for living life to the fullest post-op! Stay tuned for updates on my progress through any of my social media platforms or on my blog, UCJarvisRun.com! 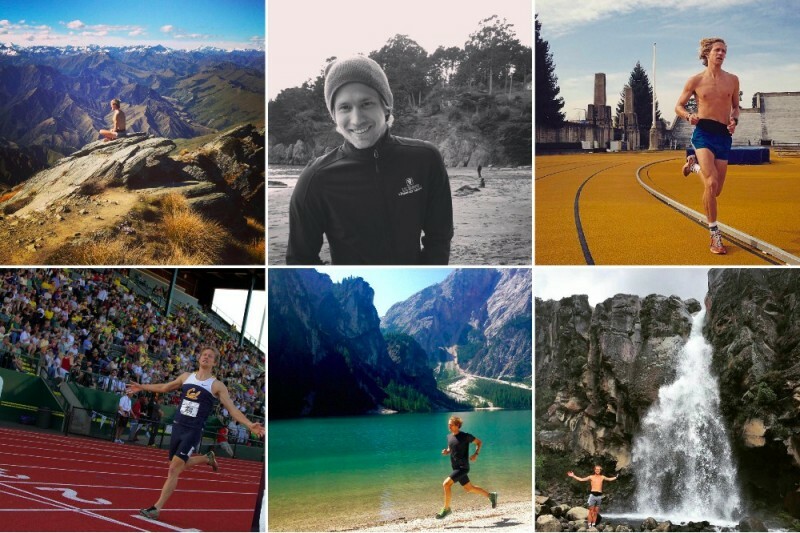 I am a runner on Laura Akesson's Cross Country team and I have an ileostomy as well. I had a really tough year last year and totally understand what it is like to have your running career sidelined for health reasons. I am trying to get stronger after my last revision in May and will be running the Richmond Half Marathon in November. Good luck! I'm a runner and a coach. This donation is dedicated to a runner on my Cross Country team who came back after a harrowing year last year to be one of our top runners this season! He now has an ileostimy bag, and like you is a fighter and an inspiration to our team. I'd love for you two to connect somehow! Good Luck!!! You are an inspiration. You are a fearless BEAR! Your talents far exceed your running ability. I expect the footage to be 3D compatible. Wishing you nothing but success and good health. We love you dearly.